A Perceptive ERP suite outlined specifically for in-memory computing. 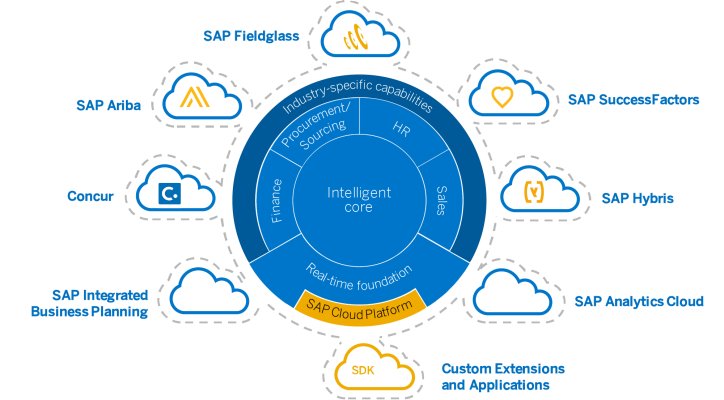 SAP S/4HANA extend a personalized, consumer-grade user experience with new SAP Fiori. It helps you to drive prompt value across all lines of business and industries. It provides lower operation cost, a better user interface, Intuitive maintenance and more appropriate integration with other applications.